Altair Manufacturing Solutions is a comprehensive set of industry proven, process oriented software to simulate common manufacturing processes such as stamping, extrusion, casting, injection molding, forging and welding. Altair Inspire Extrude brings Extrusion Simulation to the Shop Floor Altair Inspire Extrude comes with an entirely new graphical user interface which makes the simulation tool easier to use than ever. 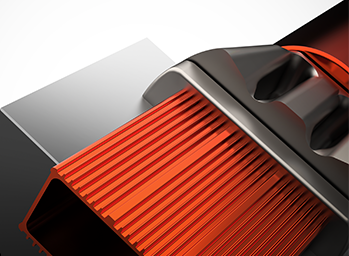 Watch this 40 minutes webinar to learn how it can help streamline your workflow for extrusion die design and manufacturing. 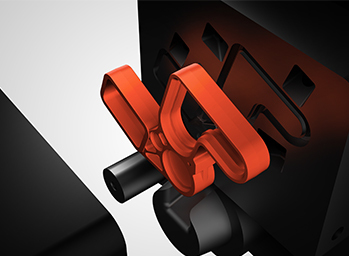 The complete set of products provided for manufacturing processes from Altair includes products such as Altair Inspire Cast, Form and Extrude, as well as Altair Partner products like NovaCast and AFDEX. "The Altair Inspire Cast simulation software allows us making a lot of interactive improvements quicker in our projects, decreasing the time required to achieve the optimum design for injection. This engineering time reduction is reflected in the reduction of mold development costs." Altair Inspire Form is a powerful and easy-to-use tool to simulate cold and hot sheet metal forming, tube bending and hydroforming, composite forming for early manufacturing feasibility analysis and advanced process validation and optimization. Altair Inspire Extrude is a virtual press where the user can visualize material flow and temperature inside a die during extrusion, and make necessary changes to ensure balanced flow and eliminate product defects. HyperXtrude can help reduce costly die-trials. Altair Inspire Cast is a casting process simulation software that allows the user to enhance and optimize their manufactured components in order to avoid typical casting defects such as, air entrapment, porosity, and cold shots. Click2Cast offers an innovative user experience, allowing the complete simulation to be done in five simple steps. 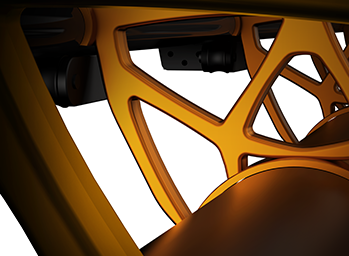 Altair Inspire enables design engineers, product designers and architects to create and investigate structurally efficient concepts quickly and easily. The software is easy to learn and works with existing CAD tools to help design structural parts right the first time, while reducing costs, development time, material consumption and product weight. HCRM: The Results Mapper from HyperCrash helps you map the stress and strain results due to the forming process onto your FEA model. Considering these effects will help you achieve even more accurate simulations. 3-MaticSTL from Materialise is the ideal tool to clean up and prepare topology optimized files faster back to CAD or to print. AFDEX from MFRC is a general-purpose metal forming simulator based on rigid-elasto/thermo/viscoplastic finite element method, focussed on forging and other bulk forming processes. 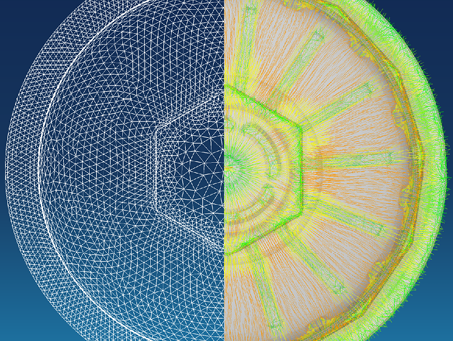 CONVERSE is a specialized mapping tool from PART Engineering used to map anisotropic material properties such as, fiber orientation and residual stresses resulting from injection molding simulation to structural analysis. Design Profit® from Munro is a methodology and process that exposes waste and risk in the product design. It enables engineers to make informed trades to reduce complexity, and create elegant designs for downstream stakeholders. Cost, time, quality, material, weight, investment, ROI, and many other critical data points are captured within the Design Profit® model to help understand the current and future total life cycle costs. KTex Family from CEDREM is dedicated to modeling composite materials for manufacturing and structural analysis precisely at the scale of fibers. 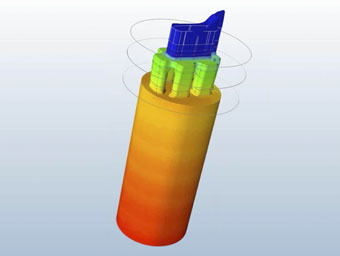 NovaFlow&Solid from NovaCast is a mold filling and solidification simulation package based on advanced fluid flow and heat transfer theories. NovaFlow&Solid can simulate such casting methods as gravity sand casting, gravity permanent mold, low pressure die casting, high pressure die casting, lost wax method, tilt pouring and lost foam process. 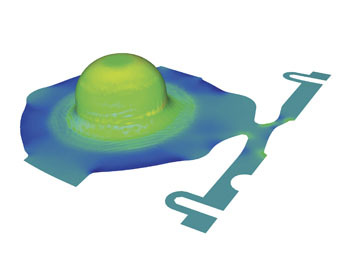 Virfac® from GeonX is a software for simulation of manufacturing processes. It addresses the advanced simulation of welding processes (fusion, friction stir, inertia friction, etc. ), heat treatment, surface treatment, carburizing and damage tolerance.